Our organic winery is located at the outskirts of Volkach, a town in the heart of the franconian wine country, beneath the romantic pilgrimage chapel “Maria im Weingarten”. In this wonderful ambiance, surrounded by fruit trees and vineyards, lies our inspiration to manufacture wines with their own personality and strong character. In our opinion, the origin of every single wine should be tastable and every wine has to taste unique and inimitable. We place value to produce our wines in harmony with nature and mature wine in a traditional, dry way since generations. We are looking forward to your visit in our winery! How about spending your holiday at a place, where the grape vines grow? 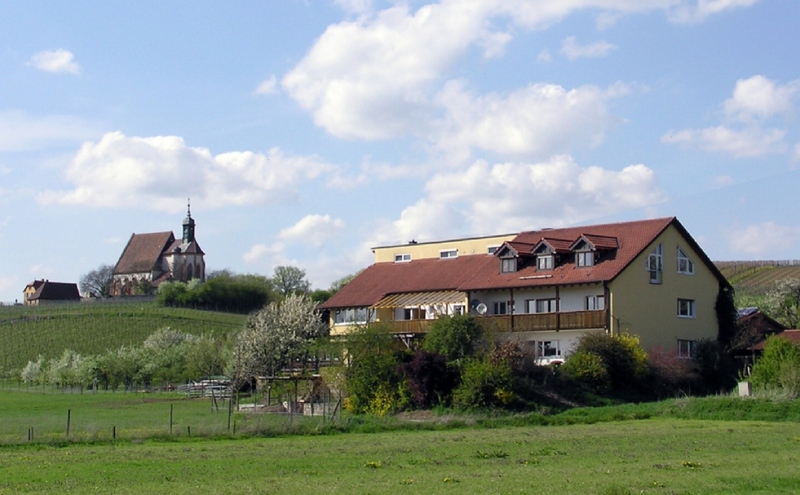 The “Mainschleife” around Volkach is one of the most beautiful regions in Franconia.